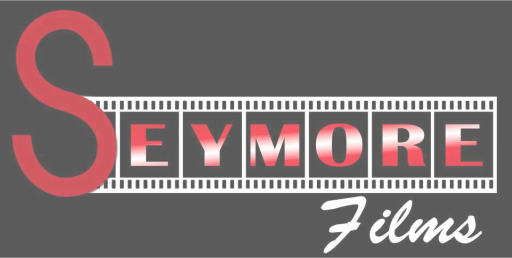 Seymore Films is the best and most affordable full service video production company in the United States. Headquartered in Las Vegas, Nevada, the Seymore Films team has worked throughout the United States and abroad through many different capacities and partnerships. Through a vast network of partners and colleagues, we are able to scale up and down to meet the needs of any size project. We have the ability to meet your production needs, so gives a call and we will elevate your video production to the next level. We are a one-stop production company and always look at each project as a chance to capture an audience which in turn will get our clients the results they need. Concept Development: We’re here to help bring your ideas to life. So if you’re unsure where to begin, contact us for a free consultation. Starting with a simple idea is all it takes and we will work closely with you to develop it into a successful project. Pre-Production: Once the concept is worked out we create a script. Within that is not only dialogue, but location details and camera movements as well. Once that’s approved we can begin to scout locations, generate a complete shot list, cast actors, round up the appropriate crew and generate the shooting schedule. Taking into account the budget and timeline, we maximize our options to make sure you receive a great video. Principle Photography: We are professional and our production team knows how to put the talent at ease even under the bright lights. We’ve worked with seasoned actors and also clients who have never been in front of the camera. No matter who it is, we make sure that everyone feels comfortable so we can get the best performance possible. Post production begins the moment shooting is completed so that the video can be finalized as soon as possible. Our editors take over from here and are comfortable working under tight deadlines. Because of our carefully designed work flow, we are able to get started on your video before it is even finished shooting so that we can get the video completed as fast as possible without compromising on it’s quality. Our team of editors with backgrounds in film, television and commercials can bring your video alive. They can generate a specific atmosphere or create a mood to get your project where it needs to be. They can also create stellar graphics and animations as well as pick music, all of which will help make your video the best it can be. Our clients often come back to us and those relationships are very important to us. We handle all aspect of post production including sound design, sound effects, color correction, music compositions, graphics, animation, DVD authoring, DVD design, deliverables, sales and distribution. Narrative Film, Documentary Films, Reality TV, Web Series, Web Video, Commercials, Music Videos, Educational Videos, Corporate Videos, Demo Reels, Trailers and Teasers, B-Roll, Additional and Stock Footage, Media Conversion and More. Services Based on Production Budget, Production Size and Time Commitment. As no two projects are the same, each production is negotiated individually.